Top image architect Laura Weeber. People in the Netherlands don’t dream about the Utopia of a heavenly paradise, but are convinced that social-democracy’s Blairite infatuation with the free market, the so-called politics of the ‘third way’, is capable of delivering heaven on earth. For everyone who is party to the success of corporate Holland, the earthly paradise does indeed seem to be manifesting itself. Yet because of the ‘total’ material and psychological freedom, the middle class has lost its way in this paradise. The many recent urban design and architectural projects in the Netherlands bear silent witness to this. The secret of this paradise is that all parties, however contradictory their interests, are always prepared to negotiate. Instead of the rough and tumble of ideological viewpoints being played off against one another, bureaucratic intervention ensures that a cosy consensus is reached between the different parties. The disadvantage of this approach is the tendency to defer thorny issues indefinitely. Public responsibilities are thereby ceded by the public administration, leaving private interests holding all the trumps. Whereas in the past the government, as the guardian of public interest, managed to maintain an order of sorts, what we have now is an organized chaos that works in favour of the private sector. Briefly, what this boils down to is that salaries are kept structurally low in the Netherlands in comparison with neighbouring countries, attractive fiscal constructions are invoked for the benefit of (international) companies, the government pays for infrastructure, utilities are privatized without the buyers having to bear the risk associated with less profitable divisions and the government relinquishes much of its control over land-use policy.1 For the last 20 years – during coalitions led by first Ruud Lubbers (Christian Democrat) and then Wim Kok (Labour Party) – consensus politics has been surrounded by an aura of sanctity. 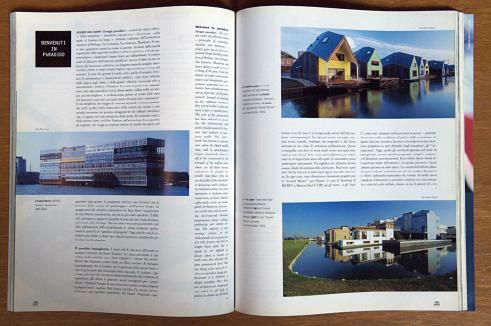 This article was first published in the Architecture yearbook of the Netherlands (2002) and a later version was published in a special Abitare on the Netherlands. 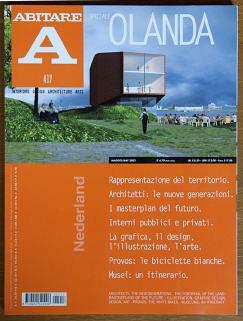 After its publication (while most considered Dutch architecture and its "neoliberal" planning "still a success (being blind folded by the neoliberal poldermodel), the article (and with it the Yearbook on Dutch Architecture) opened debate (see special Publication by the BNA 9Royal Institute of Architects in the Netherlands) on this topic "Positie kiezen in het Paradijs) where many critical voices in the Netherlands reacted on the article "Lost in Paradise).